Ready to turn your resource-stealing suburban savannah into a low-maintenance oasis? Don't miss these five grass alternatives! To avoid the hassle of ongoing upkeep or to conserve precious resources like water and gasoline—or for both reasons combined—many today are opting to plant drought-resistant grasses. These "no mow" lawns are the product of seeds specially designed to require minimal mowing. 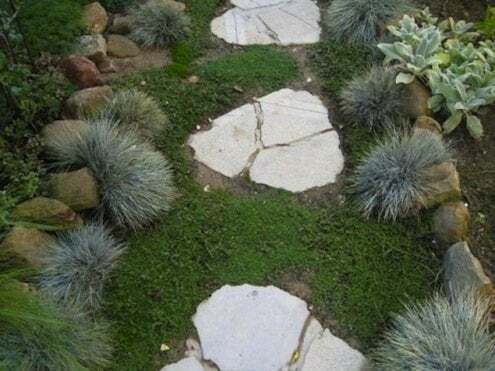 Some homeowners actually have taken things a step further, eschewing grass entirely in favor of alternatives—that is, hardy, low-growing ground covers (or even artificial grass). These lawn substitutes can eliminate the problems normally faced in shady yards or on properties subject to the wear and tear brought on by pet dogs. So before you sod the front lawn or re-seed the backyard, consider your options beyond bluegrass, fescue, and rye. Grass. It’s easy to plant, covers most types of terrain, and feels good under bare feet in the summer. It’s also… kind of ordinary. NASA satellite imagery shows that in America, lawns occupy about fifty thousand square miles, an area roughly the size of New York State. All that green requires many homeowners to shell out “green” for maintenance. That’s because many yards are planted with non-native grass species in need of extensive upkeep, from mowing and fertilizing to weed-killing and watering. In fact, it’s estimated that one-third of all water usage in the U.S. goes toward landscaping. 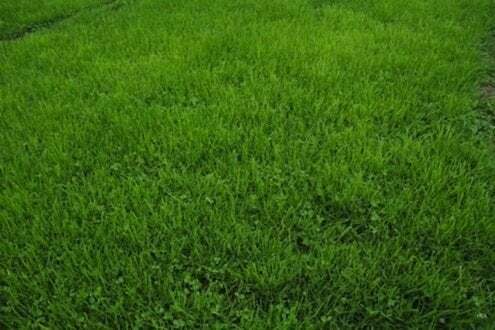 For years, grass seed has benefited from the addition of clover, which fertilizes soil by drawing in nitrogen, resulting in a healthier and greener lawn. Microclover, a relatively new variety, makes an ideal companion to grass, in that it’s low-growing and doesn’t flower often (bye-bye, bees), and the shade it provides to the soil reduces water evaporation. Clover may also be used on its own for a non-traditional lawn with no grass at all. For this purpose, choose white, or Dutch, clover. It can stand up to occasional mowing, doesn’t grow tall, tends to crowd out weeds and is virtually impervious to pet urine. Technically a grass, fescue has one distinct advantage over species traditionally planted in yards—you barely have to mow it. With growth, fescue blades fold over on themselves, creating a lovely sea of green that actually ripples in the wind. For a shorter lawn, mowing once per month is sufficient (normal grass often needs weekly mowing). 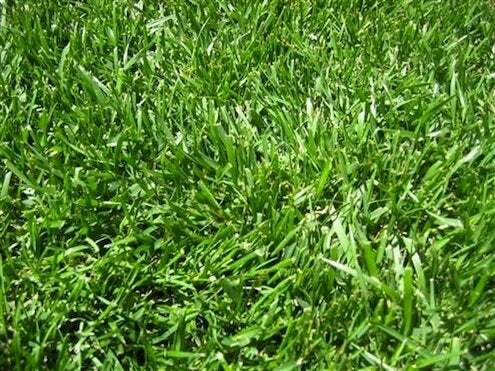 Fescue is shade- and drought-tolerant and can stay green throughout the entire year. Though it can tend to grow in clumps, a specially engineered mix by High Country Gardens eliminates this issue. This common herb may be used, not only in the kitchen, but outside of the home as well— to brighten landscaping. Popular varieties worthy of consideration are spicy orange thyme and creeping lemon thyme. Neither usually exceeds four inches in height, and both produce pink blossoms that, when crushed underfoot, emit a wonderful smell. 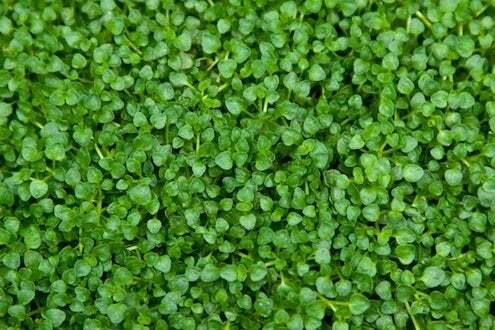 If bare feet will be on the lawn, wooly thyme is recommended for its delightful, soft texture. Hardy and undemanding, thyme varieties grow well even in poor soil, so as it’s well-drained and gets good sun. The lowest-growing of all mints, mentha requienii prefers dry to moist soil and medium to full sun. It tolerates foot traffic well and when trampled, gives off a pleasant creme de menthe aroma. Corsican mint can even be used to make a tasty peppermint-like tea. Turf doesn’t necessitate water, chemicals, or a gas-powered mower; that makes it an unlikely eco-friendly option. 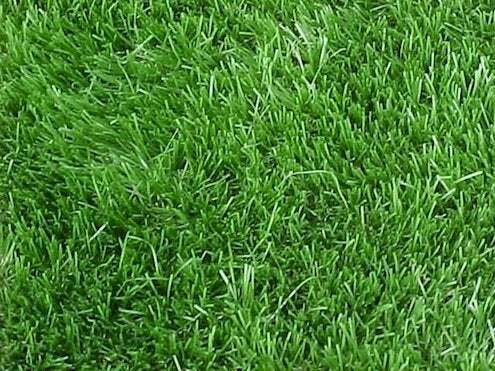 If synthetic grass reminds you of those bristly doormats, think again. 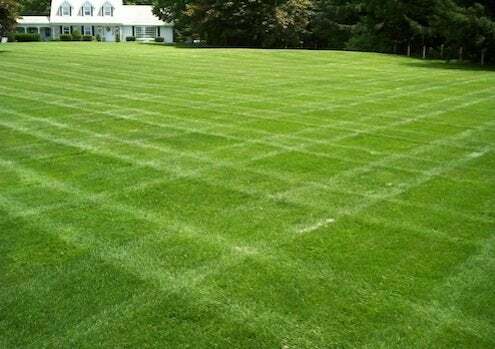 A number of manufacturers like SYNLawn and ForeverLawn have developed versions that aren’t easy to distinguish from the real thing.